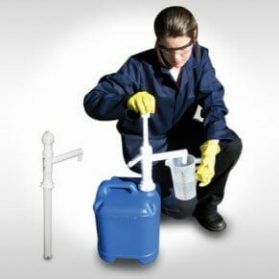 View basket “No Chemical Spillage Drum Pump” has been added to your basket. 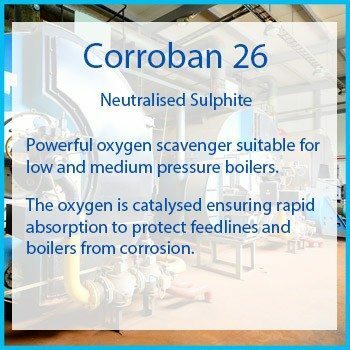 CORROBAN 26 is a powerful oxygen scavenger in liquid sulphite form suitable for low and medium pressure boilers. 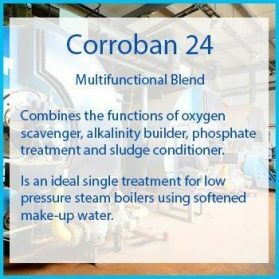 The reaction of CORROBAN 26 with oxygen is catalysed ensuring the rapid absorption of oxygen to protect feedlines and boilers from corrosion. 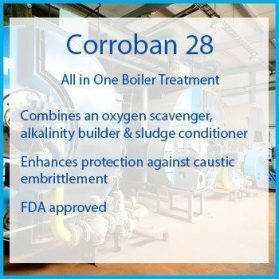 CORROBAN 26 reacts with oxygen to form products which have no adverse effect on boiler integrity. 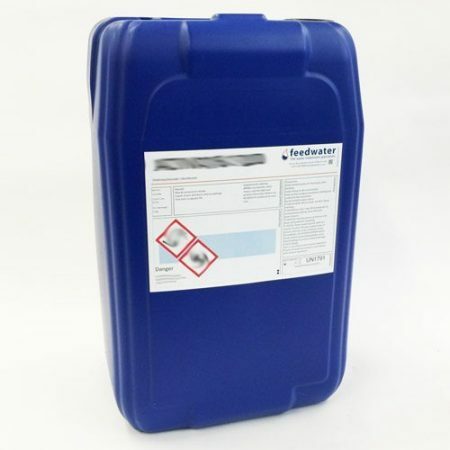 One of these products enhances protection against caustic embrittlement. 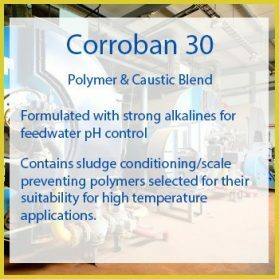 CORROBAN 26 should be dosed at the rate of 18ml/m3 for every ppm of dissolved oxygen. 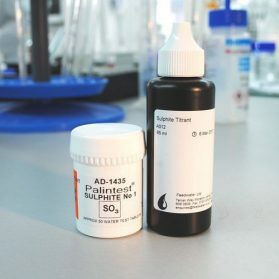 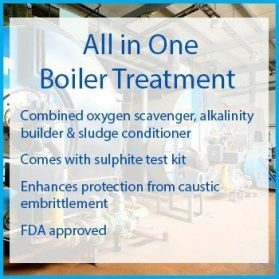 A reserve of approximately 50ppm of sulphite should be maintained in the boiler water.